Porcini (Boletus edulis) emerging from the rain-sodden forest floor. It’s mushroom season on the Monterey Peninsula and more people than ever before are poking around in the woods in search of something wild and delicious. 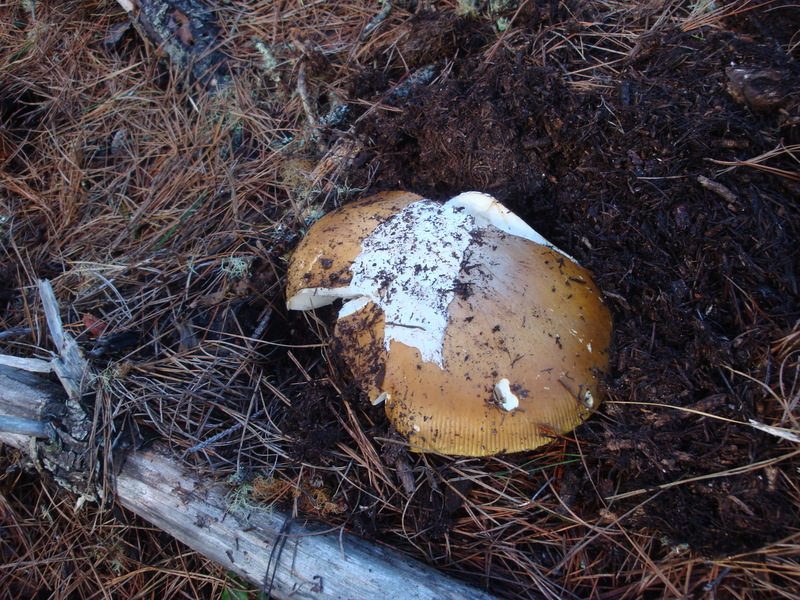 The Monterey County Herald says people are traveling all the way down from the San Francisco area to hunt mushrooms here – yet another way in which the remnants of the peninsula’s pine forest are driving tourism and benefiting the local economy. 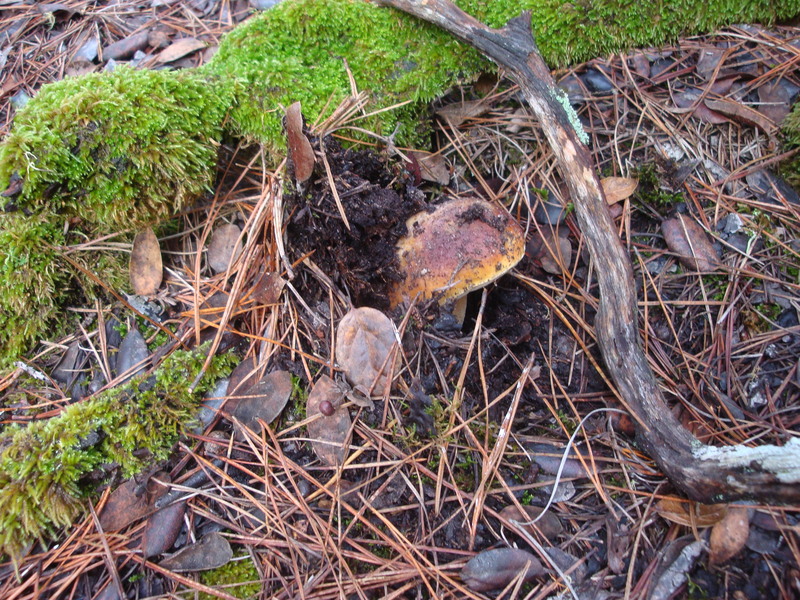 Most are after porcini, but coccora, candy caps, and even some of the harsher Lactarius species have their aficionados. You might think we’d be unhappy to see so many people overrunning the patches we’ve had to ourselves for so many years, but the truth is we’re delighted by this trend. Nothing builds a heart-felt appreciation of wild nature – not to mention of the fact that all food production ultimately depends on a healthy planet – quite like gathering your own food in the woods. And, in any case, there’s still plenty to go around. A big coccora (Amanita calyptroderma) muscles up through the duff. Coccora’s are closely related to a number of species that are Deadly Poisonous. If you don’t know what those species are and how to tell the difference, do yourself (and your family and friends) a favor and Don’t Eat Them! With its bright red top and white spots, the fly agaric (Amanita muscaria) is the world’s most iconic and easily recognized mushroom. 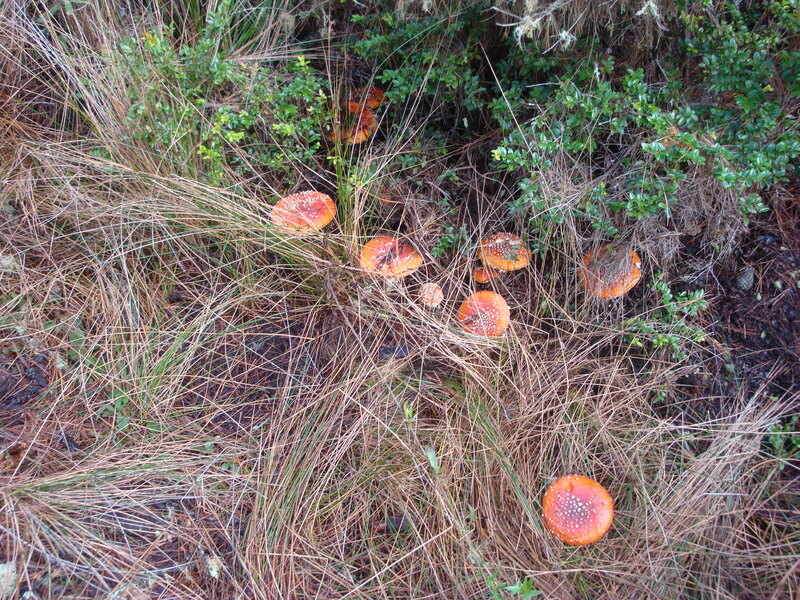 Mildly to moderately poisonous and strongly hallucinogenic, it grows in large quantities on the Monterey Peninsula. Drug warriors will be relieved to know that its potential for abuse is extremely limited. Most find the “high” it produces anything but recreational, and report that once is more than enough. It’s bad news for an oak when a bunch of honey mushrooms (Armillariella mellea), the fruiting body of what’s otherwise known as root-rot fungus, appear at its base. The cloud has a silver lining, though, for those who enjoy the hearty flavor of the caps (the stems are too tough). Unfortunately, not everyone is able to digest honey mushrooms, so keep your portion small the first time you try them (and please don’t think you can identify them just because you’ve seen this photo!). But it’s not just about the mushrooms. 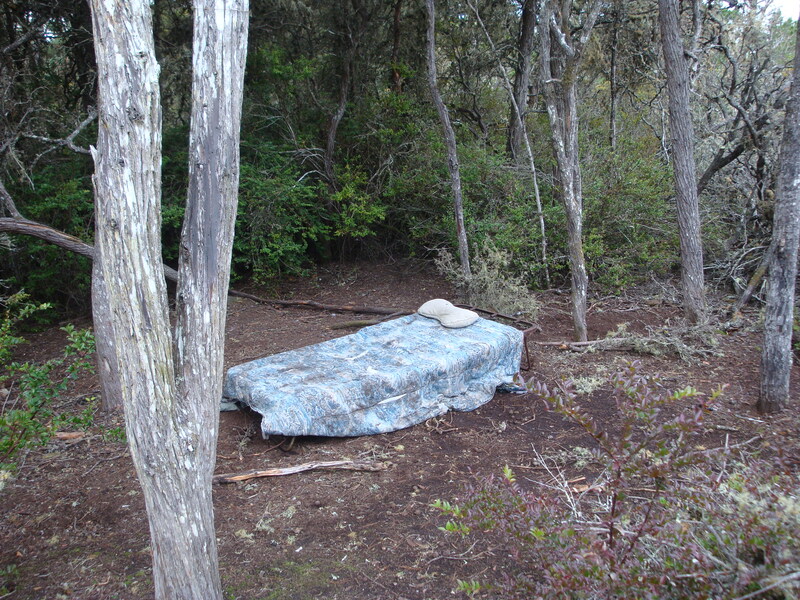 Getting out in the woods is also a good way to gain an appreciation for the creativity of the local homeless population. 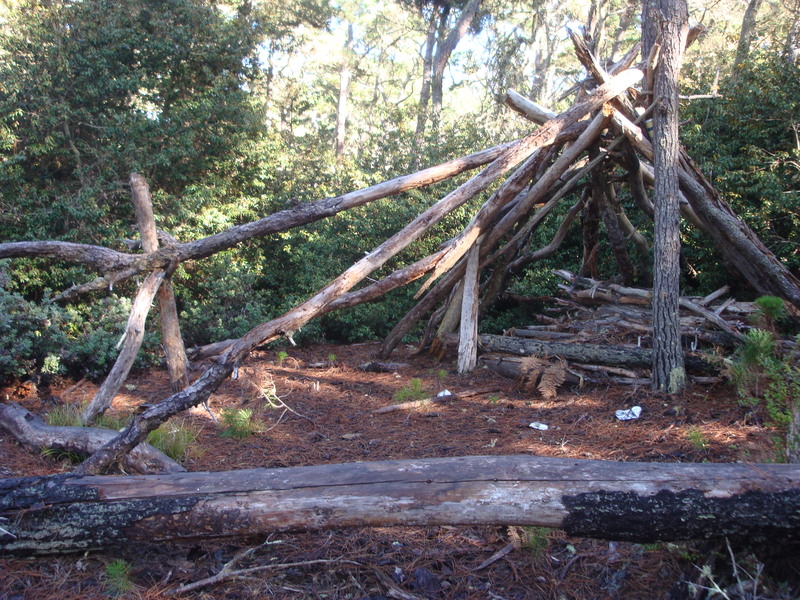 Quite a few people on the Monterey Peninsula work at jobs that don’t pay enough to cover basic living expenses, and a lot of them live quietly in secluded parts of the woods – far from the depressing atmosphere of the bigger homeless encampments. Read more about that here. 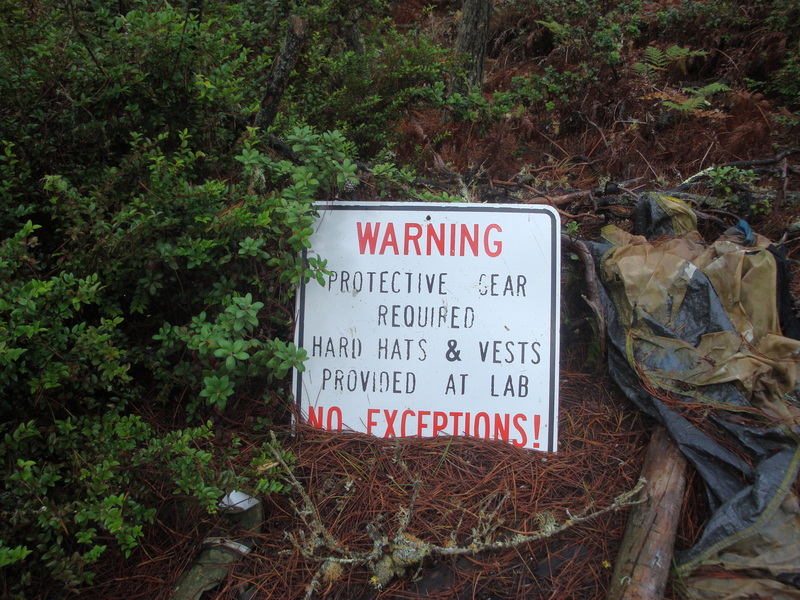 … together with some very odd artifacts of human civilization. 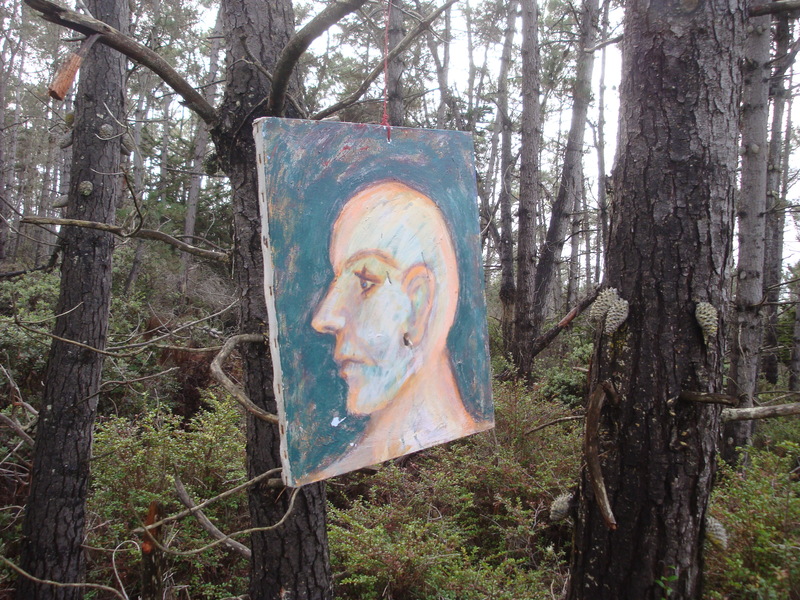 We’re sure someone had a reason for lugging this painting out into the woods and hanging it from a tree. We’re not sure what it was, but we’re sure they had one. OK, we realize we’ve strayed pretty far from the subject of mushrooms, so here’s a pic we took yesterday of a porcini just breaking the surface. For a previous post more resolutely focused on the ins and outs and ups and downs of porcini hunting, click here. Please Note: Nothing on this site should be mistaken for a guide to gathering edible mushrooms or plants. It is foolish, and potentially fatal, to gather wild food with insufficient knowledge. If your knowledge comes only from what you’ve read and seen on the Internet, it is insufficient. If you can’t specifically list the characteristics on which you’re basing your identification AND name, and list the characteristics of, the closest inedible species, then you do NOT have sufficient knowledge to be safe. You should become thoroughly familiar with any mushroom or plant and the mushrooms or plants it resembles long before you begin picking it for your table. The only sure way to gain this kind of familiarity is by going to the woods with people who genuinely know what they’re doing. 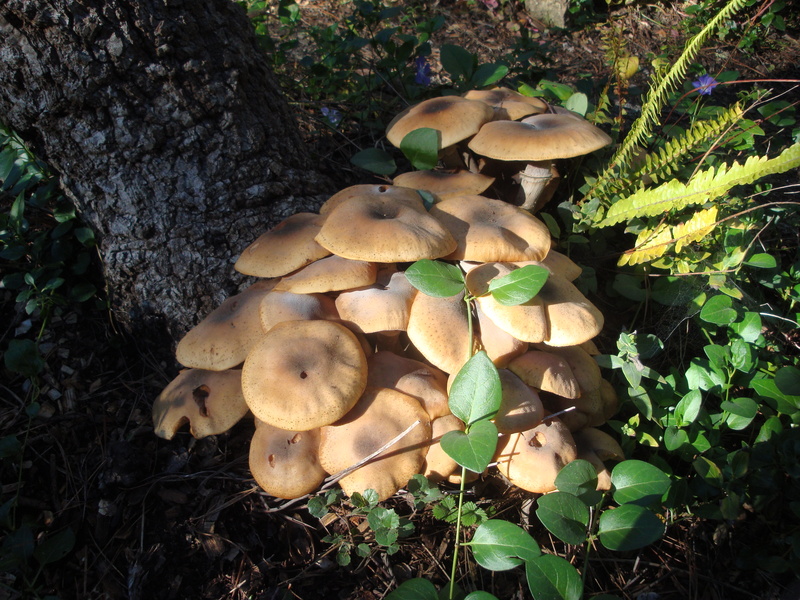 The best place to meet such people around here is the Santa Cruz Fungus Federation; which, in our experience anyway, is less a wild mushroom club with a thing for gourmet eating, than it is a gourmet eating club with a thing for wild mushrooms. This entry was posted on Wednesday, December 19th, 2012 at 3:06 pm and is filed under Fungus, Living Wage, On Foot. You can follow any responses to this entry through the RSS 2.0 feed. You can leave a response, or trackback from your own site. 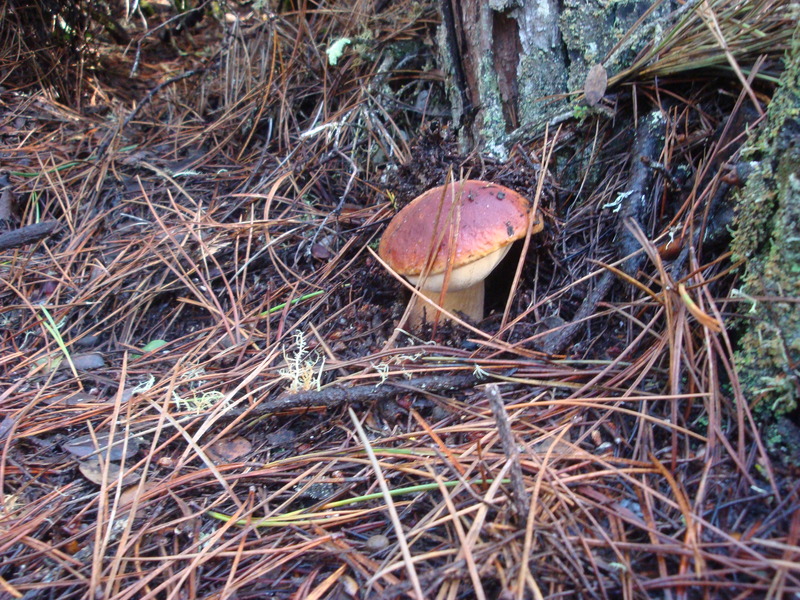 XT, any chance you’ll be leading the wild mushroom walk in Big Sur this coming Saturday? No, but I’m sure they had a good time and a good meal. Great day to be out in the woods! I’m planing to go 12/17 this year ! You think boletus will be around :) ?